Ad blocking has become the plight of marketing executives around the world. Advertising has morphed into an industry that feeds consumers targeted, data-driven, research-backed ads that they will likely never see. Ransom Hawley encountered this dilemma over and over again during his time at S.C. Johnson. With one in four Canadians using some form of ad-blocker, and companies searching for new ways to reach their customers, corporations lose millions of advertising dollars to ad-blocking yearly. Hawley eventually decided that there had to be a better way. After leaving his job in marketing at S.C. Johnson, Hawley went on to launch his own digital marketing startup just under a year ago. Caddle has been operational since late 2015, and since then has attracted customers such as Well.ca, OIKOS, Tropicana, South St. Burger and Purex. Caddle is a mobile app designed to directly connect brands with consumers. What this means, is that consumers complete surveys to determine which brands they want to connect with, and in return, brands get to communicate with their customers. However, Hawley realized that without some kind of reward, there would be little incentive for an already ad-averse population to willingly download an app like Caddle. Therefore, users receive cash back and rewards to complete the survey and receive offers on products they’re interested in. Consumers can receive up to $25 cash back for participating in surveys and providing feedback on the platform. “Consumers are sick of popups, pre-roll on YouTube, and the increased frequency of ads. With Caddle, you create this mutually beneficial relationship with ads,” said Hawley in an interview. In order for Caddle to appropriately serve ads to users, they need to keep track of certain pieces of information, such as age and gender, though Hawley assured MobileSyrup that the team doesn’t extensively track other forms of personal information. Caddle was launched and has been scaled in St. Catharines thus far. 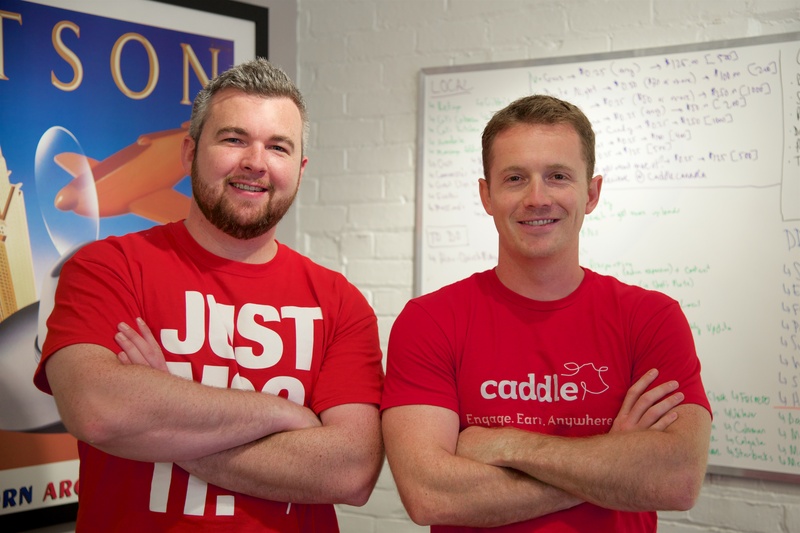 The team recently made an appearance on the popular entrepreneurship show Dragons’ Den where four out of five dragons made a $125 thousand investment in Caddle for 28 percent equity in the business. While that seems high, it’s a chunk that’s split across five high profile VC’s. “Caddle is ad blocking kryptonite,” said Mick Higgins the chief marketing officer of Caddle and former director of search and innovation at Reprise Media. 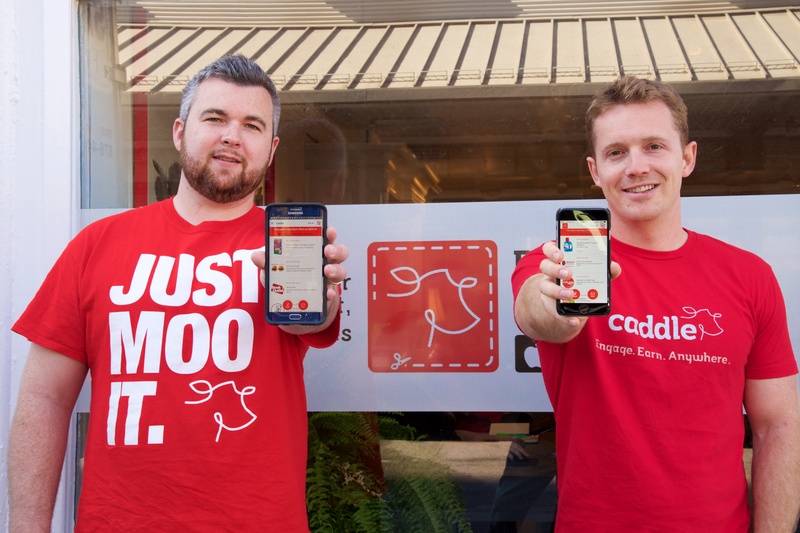 Since June, Caddle has more than doubled its user-base and is available on iOS and Android.